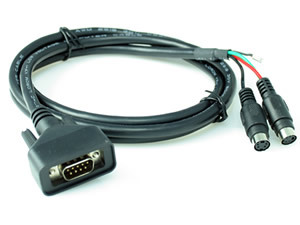 2-Channel S-Video Input Cable for connecting cameras, entertainment components, satellite television receivers, etc. to E-Series displays. 1.5 meter cable with 2-S-Video (Y/C) input connectors. Connects up to 2 video sources to E-Series displays.